Wayne, IL - June 25, 2016- The Showplace Productions' Equitation Challenge is set to take place at Lamplight Equestrian Center in Wayne, Illinois this Sunday and Perfecta Farm is more than ready for the competition. Perfecta has several riders qualified for the third annual challenge, which is by invite only. This is no surprise since trainer Kim Gardiner’s riders Caitlin Boyle and Rebecca Kozma won the first two Challenges held. Boyle won the inaugural Challenge at Showplace Productions Spring Spectacular in 2014 and Kozma, who came in second that same year, won the Challenge in 2015. The Challenge is modeled after the George H. Morris Excellence in Equitation Championship hosted at the Winter Equestrian Festival, though with slight variation. The top six placing riders in any of the three weeks of the Showplace Series, in the USET Talent Search, USEF Hunt Seat Medal, ASPCA Maclay, and WIHS Hunter and Jumper phase are automatically extended an invitation. The three-part competition features three jumping rounds: the first round is scored over fences, then the top riders, chosen by the judge’s panel, return for a second round to be scored. For the third round, the panel will select the top four riders to return for additional testing. 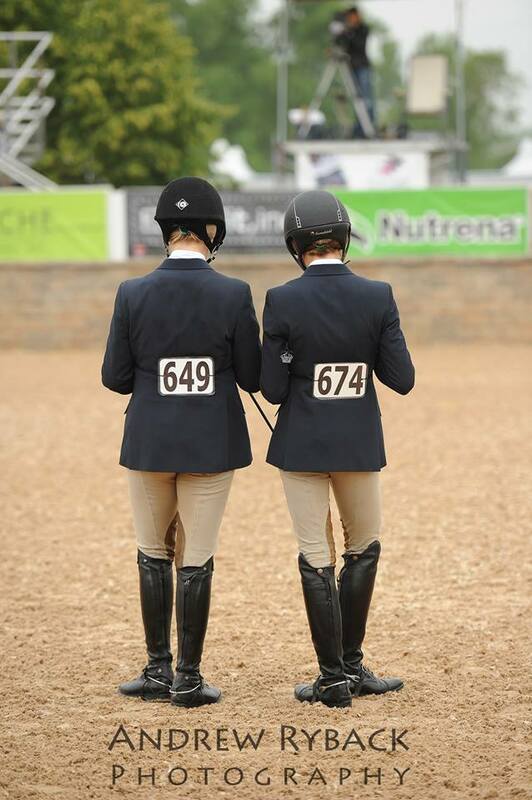 Caitlin Boyle and Becky Kozma study the course together for the Showplace Equitation Challenge back in 2014. Part of the Challenge is that all preparations and course walks must be completed by the riders alone, without aid from their trainers. Any contact with their trainer results in their immediate disqualification from the class, though they may have one groom. In addition to their scores from the competition ring, riders get extra points in the schooling ring for prepping their horses properly in accordance with USEF rules, and Gardiner has made sure to prepare her riders for those situations, as well. “I’ve talked to judges that have done the schooling part and picked their brains on what they’re looking for. We work on our students using their flatwork and we try to make sure our riders are thinking about doing things correctly," said Gardiner. As Gardiner explained, the farm’s program is designed to create independent riders who are ready for any type of challenge they face. “At home we try to let them do their own work, we don’t always give them the answers to questions. We explain the reason behind the exercises we’re doing. We let them do things on their own, so when they get in the ring they’re ready,” stated Gardiner. Caitlin Boyle, Rebecca Kozma and Celia Bresch credit Perfecta’s program as the key to their success in the competition. For Kozma, this year’s competition poses a new obstacle, she will have a new mount, Corochino Z, a 6-year-old gelding, who she’s only been partnered with for three months. “I want to go in and give him the best ride I can. He’s been really good; we’ve been jumping a lot of practice courses at home and a lot of flat work with lengthening and shortening,” explained Kozma. 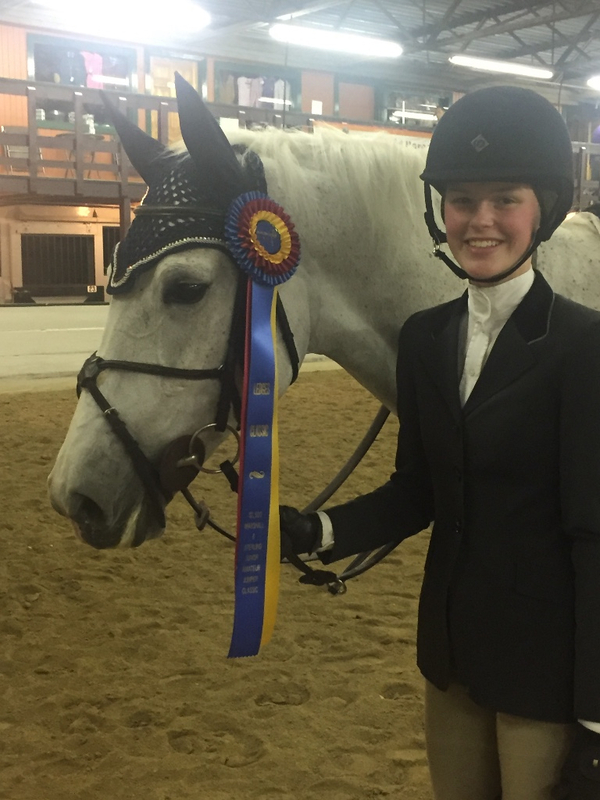 Claire Stockard has qualified for the Showplace Equitation Championship and Celia Bresch is returning to the challenge as well, drawing on last year’s experience to aid her in a bid for the ribbons. Bresch praised Perfecta’s program in helping her to advance her equitation and help her get to this stage. “Kim is good at giving us horses to help us learn. When I came to Perfecta, I needed help with my equitation, and Kim gave me horses to help me learn on, and when I was ready, I was able to move to harder, more advanced horses,” stated Bresch. Celia Bresch and Le Blanc. Perfecta’s program doesn’t just aid riders to compete in medal finals. The program extends past their junior careers and into college. Many Perfecta riders have gone on to have successful college careers. Haley Buchmiller, a Perfecta alum, and an alum from Texas A&M, was named to the National Collegiate Equestrian Association All American Team. Buchmiller has also recently become a trainer for a local Chicago area farm. Boyle, who just finished her freshman year at Auburn University, helped her team rack up numerous NCEA and SEC honors and helped lead the Auburn Tigers to their 2016 NCEA championship win. Additionally, fellow barn-mate Kozma, is set to join the Auburn team next year. “Our kids have to learn how to ride different horses. They’ve had to school our school horses, hard to handle ponies, young horses and sale horses. In college, you don’t get to build a partnership with the horses, so it’s important to have that background to draw from,” remarked Gardiner. Perfecta Farm has collected numerous championships and top ribbons at the Showplace Spring Spectacular. During the first week, Kozma was Reserve Champion in the Equitation 15-17 division and Champion weeks two and three with Corochino Z. She also won the ASPCA Maclay and the Washington Equitation week II. 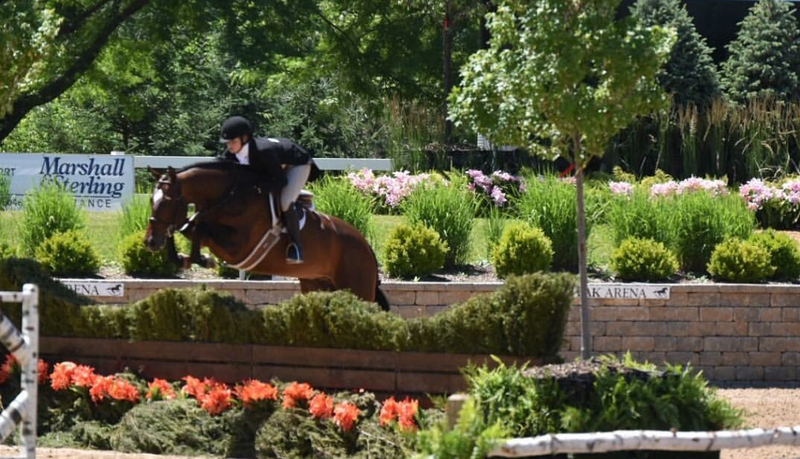 During week one, rider Celia Bresch won the Marshall and Sterling Junior Medal and in week three, Bresch took the second place finish in the IHJA Junior Medal aboard her own Zalicia. Boyle also had success riding both weeks in the Marshall and Sterling 1.30m Grand Prix aboard Antalya, owned by Perfecta Farm, and took the championship in the Pre Green Hunter 3’ in week two aboard Perfecta Farm’s Casaro. The Farm also has multiple riders already qualified for the Maclay Regional’s and the USEF Pessoa Medal Finals. Celia Bresch, Rebecca Kozma, Claire Stockard, and Andria Talavera are set to join the numerous Perfecta Alumni in representing the Perfecta program at indoors this winter. Watch the Showplace Equitation Championship on Sunday, June 26, 2016 at 7:30am in the Grand Prix ring to see who the next champion will be. You can watch it live on www.starcreeklive.com. Perfecta Farm is an equestrian facility that caters to not only the serious show competitors, but to the riders starting at the entry level. 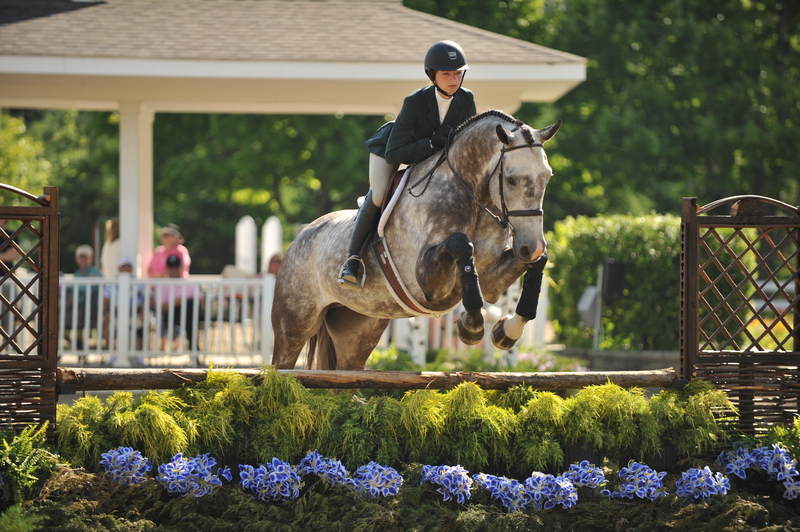 They attend both A and B shows, as well as offer schooling shows at their facility. They have a summer camp program with daily riding lessons, crafts, and field trips to exciting horse venues. Perfecta Farm is a friendly, family oriented environment with an emphasis on fun and safety.